Spikey, the lucky dog rescued from the flooded L.A. River durning January's heavy rains was turned over Tuesday to his owner, Maria Media, who thanked everyone for his rescue. He had been under observation for rabies at an animal shelter after biting the firefighter who saved him. 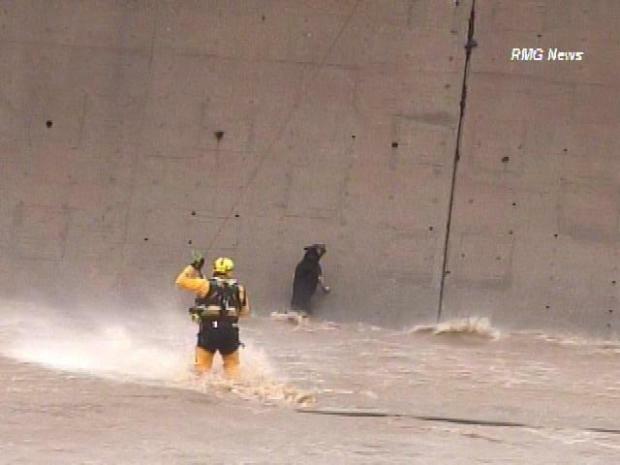 Spikey caught the attention of the city, and the country, when he fell into the L.A. River during heavy rain on Jan. 22. Media had no idea her lost pet was such a celebrity, until a friend told her his rescue had been on every TV station in town, plus on the national news. A rescuer wades through fast-moving water to save a dog that had been trapped in the river for nearly two hours. Spikey wandered out of his Maywood home through an open gate, and somehow ended up in the river. 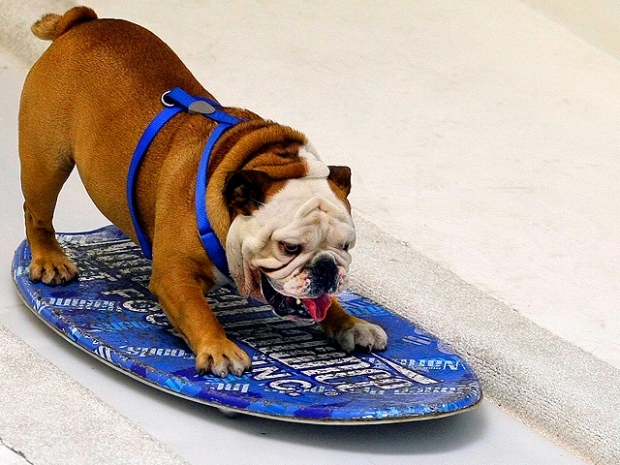 The dog then found himself doing a tight-rope walk of sorts along a ledge in the rapidly flowing water. L.A. City firefighters tried to rescue him from the ground before bringing in a helicopter. The conditions were bad from the beginning and got worse as the rain continued to fill up the river. “My pilot is flying close to high tension power wires. Any kind of error there and we’ll have major problems,” said Joe St. Georges, Firefighter and Paramedic about the rescue. St. Georges dangled from the chopper to make the rescue and was attacked by a cold and frightened Spikey, whose bite left St. Georges without a thumbnail. But the firefighter who risked his own life to save a dog's has no regrets. “We’re not going to sit there and let a dog die, that wasn’t going to happen,” according to Joe St. Georges, Firefighter and Paramedic. For his and the entire crew's rescue of Spikey, the Muttshack Animal Rescue Foundation presented the firefighters with awards on Tuesday. Meanwhile, back in Maywood, Spikey got reacquainted with his canine companion, Polo. The home they share with the Medians now has a secured gate, so as not to test Spikey's luck a second time.